TorontoVerve. :: Black Girl Nerds in the Six! 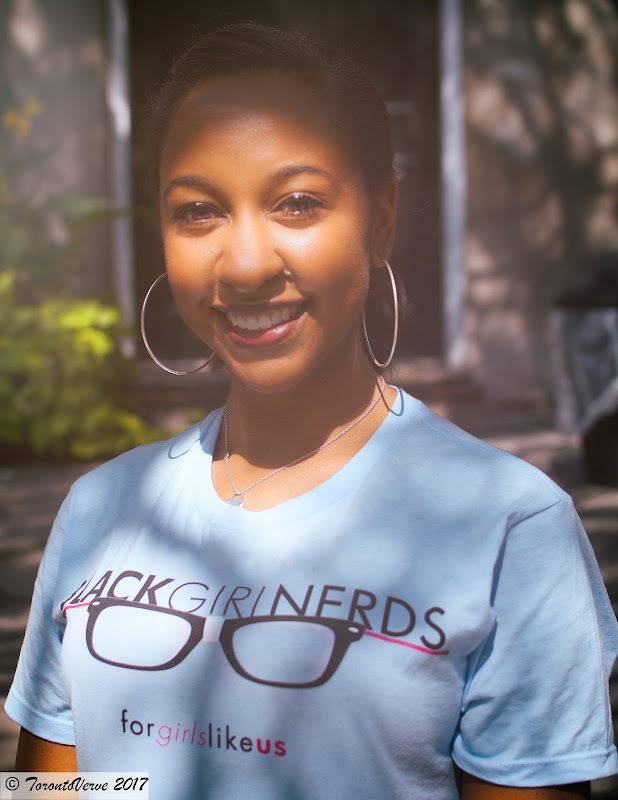 Black Girl Nerds in the Six! The Black Girl Nerds are making a name for themselves in the media industry with their unique perspective on all things nerdy like comics, video games, movies, television and fandom culture. 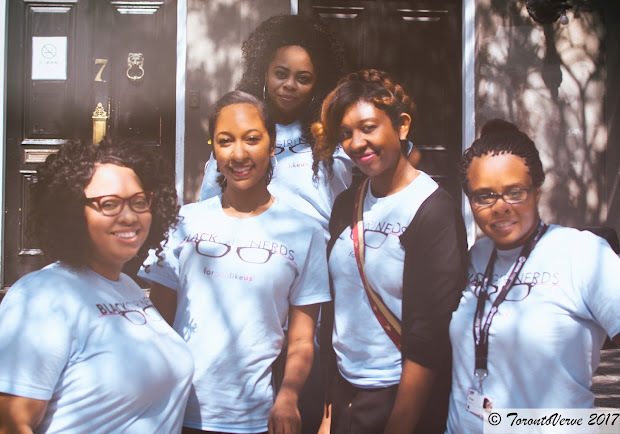 I spoke to founder Jamie Broadnax and her team while they were in town for TIFF. TorontoVerve: There was a time when being a nerd was something to be ashamed of. Now people are embracing it. How do you think that cultural shift happened and when did you realize that you were a part of it? Jamie: The term “nerd” is elusive. It means different things to different people. I think now people want to own their sense of identity in a very unique way and they’re building communities off of that. Lauren: I guess I’ve always accepted that my likes weren’t necessarily in line with everyone else’s. I didn’t really know if it made me a nerd or not, but I just knew that it made me “me”. I didn’t know that other people enjoyed the same things. Kay-B: The “nerd” community has definitely gotten a bit larger. It’s become more of an embracive environment. TV: Jamie, when did the idea of BGN come to you and how did you bring it together? 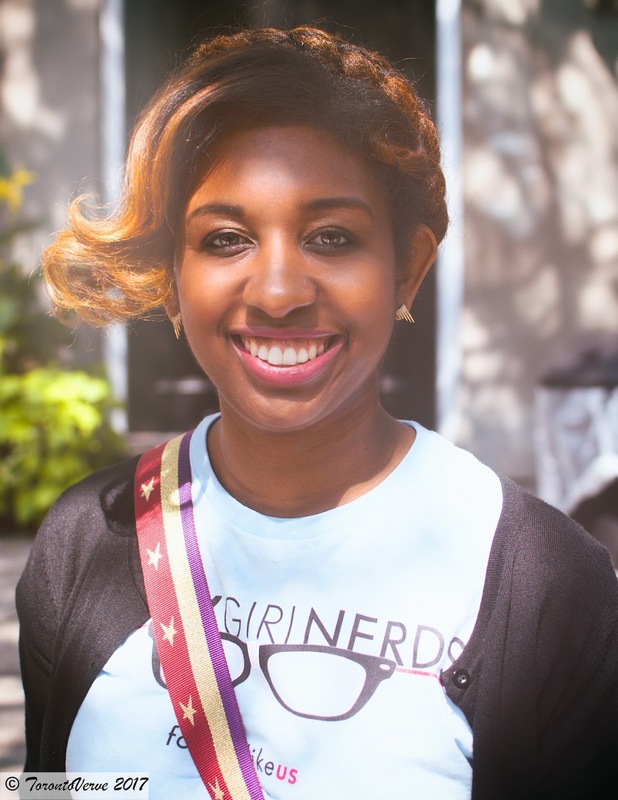 Jamie: In February 2012, I googled the term “Black Girl Nerds” and nothing came up so I decided to create a Blogger account with that name. Literally within 24 hours, a published author reached out to me and said, “I want to write content with you.” Then it slowly began to build into this online community — when at first, it was all about me and my personal musings. Now we do meet ups all over the country and go to Comic-Cons. 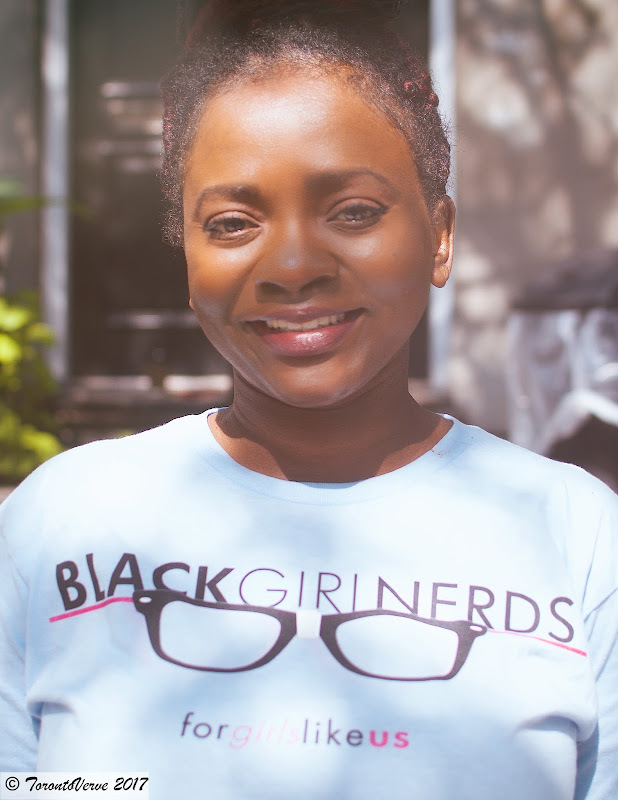 [Black Girl Nerds] is a safe place for women where they can express themselves in a way that they haven’t quite been able to do before. TV: What was the reception like for BGN? Jamie: The biggest one was in the September 2013 issue of Marie Claire Magazine when Shonda Rhimes said that I’m one of her favourite people to follow on Twitter. That’s what made it real. She even Tweeted to me about Comic Book Day. It’s remarkable to see how celebrities have reacted to it. Kay-B: It’s grown so much. I just did an interview here at the Toronto International Film Festival and they were like, “Oh my God! 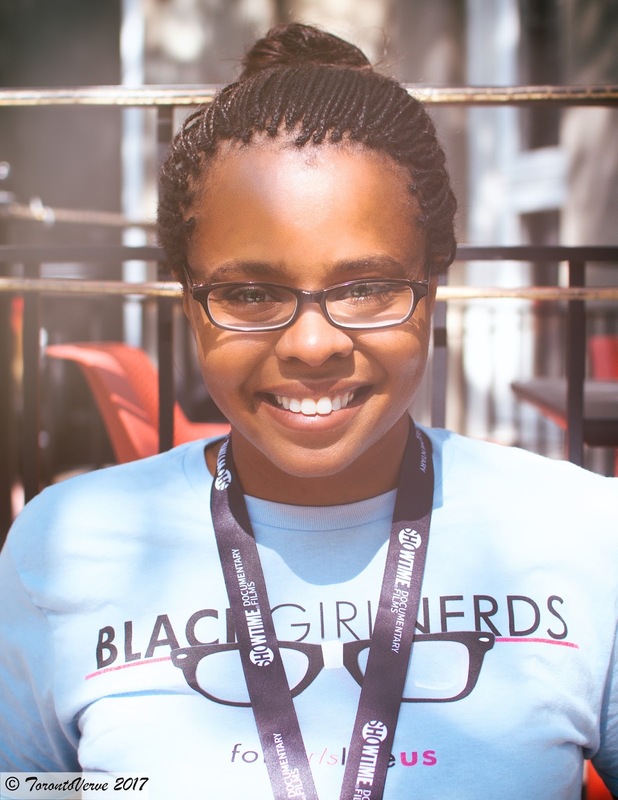 Black Girl Nerds! I’m so excited! This is so awesome.” Over the years, what Jamie has built has dramatically increased and celebrities and our followers have really been positive and receptive to the brand. TV: When I was a kid playing with friends, I never wanted to be the black guy from TV shows or movies because there was nothing special about them. That all changed when I saw Miami Vice and Philip Michael Thomas' Tubbs. For the first time, there was someone I admired and looked up to. When did that moment happen for you all? Lauren: I thought about this a few weeks ago when I saw the #FirstTimeISawMe hashtag. Desna from Claws really resonates with me. Desna is taking care of everyone except herself. Has everyone’s best interest in mind except her own. She’s always last. Everyone else comes first. But we’re talking about the year 2017. That’s a long time for me to watch TV and see a true reflection of myself. Kay-B: For me, it was The Cosby Show. Seeing a dynamic Black family in different shades on TV meant a lot to me. Claire Huxtable was the epitome of the mom that you wanted to see. She was fierce and a [tough disciplinarian], but she also made sure that her kids knew that they were loved. She was someone who I looked up to and aspired to be. 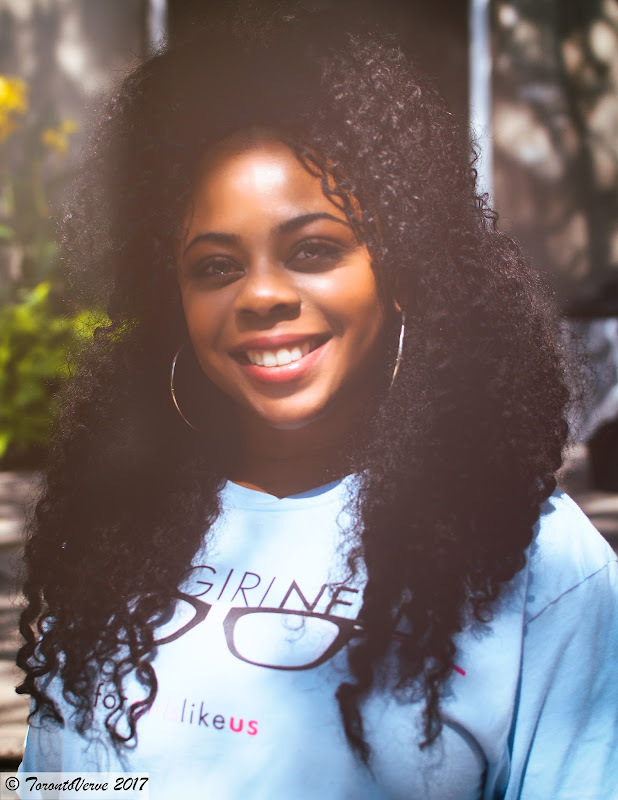 Jamie: Netflix partnered with BGN for the #FirstTimeISawMe campaign. Kay-B, Afiya, Joi and Connie participated in it. We all shared our experiences of the first time that we saw ourselves reflected in media and it was so cool to see that hashtag go viral because of the BGN community. I’m so proud that we were a part of that campaign. TV: Jessica Chastain recently said at Cannes that she was displeased with the state of women in the film selections. How do you feel about it after seeing some TIFF films? Lauren: Well, 40% of TIFF shorts were directed by women, which is a vast jump from last year, but it’s not indicative of what they could be doing. I think TIFF is doing more than what most festivals do. There’s always room for improvement for writers, directors and producers. I can understand her disappointment, but for her disappointment, there are many other people who see far less of themselves and who reap fewer benefits. There are some solutions that need to be brought up and she can do something to help because she has some clout. So you’re disappointed. What are you going to do to fix it? Kay-B: Yeah, be a part of the change. Lauren: Bring me solutions not problems. Jamie: It’s not always about White women. It’s also Women of Colour. In those feminist arguments, they don’t see Women of Colour in the spectrum — they only see White women. That’s why intersectionality exists. TV: I’ve been rather vocal on Twitter about whitewashing in film -- especially about Ed Skrein and Hell Boy. Do you feel him stepping down from the role will change things in Hollywood? Lauren: It’s a drop in the bucket, but I hope that it shows actors that they do need to start being held accountable for their actions. [Movie] producers no longer have the option to say, “But I need a bankable star.” Bankability doesn’t necessarily equate to responsibility and Ed was being responsible when the producers were not — so kudos to him. Kay-B: It’s a wonderful first step, but going forward two things could happen. Either actors can continue to step down or [filmmakers] can properly cast from the beginning. You don’t have to go through this process at all. TV: Lauren, the world was recently introduced to the first Black Bachelorette and you and Joi covered it on your podcast. So what do you think? Has the show been a leap forward for race in television or have we stepped back enormously? Lauren: I wouldn’t necessarily call it a leap. I’m going to say that we took a very small half baby step and every time we hear about Shonda Rhimes getting deals with Netflix or Will Packer & Aaron McGruder getting deals to do shows like Black America on Amazon, those are good steps. They’re not leaps. It will be a while before we see leaps. We need more [People of Colour] in power to make those leaps happen. TV: I’ve been wanting a Wonder Woman movie since the TV show so I was really excited about seeing it. I was happy to see Black Amazonians on Themyscira, but disappointed that we didn't get to spend more time there and possibly learn more about them. What were your feelings about the film? Jamie: The absence of Nubia was telling. As a comic book reader and someone well versed with Black women in comics, I would have liked to have seen her. I would have liked to see them hang out on Themyscira for a while because the little bit of Black women that we did get…they only had one line. Wonder Woman was revolutionary for White women, but not so much for Women of Colour. That’s something that still needs to be recognized and talked about when we see these films with White female protagonists. TV: What can we expect from BGN in the future? Lauren: Growth, expansion — definitely more Comic-Cons. Kay-B: More video content and podcasts. Lauren: And more live Tweets. Kay-B: There are a new slew of shows coming this Fall so we’ll have new live Tweets. Obviously, we’ll continue to be a respected media outlet and brand and be able to sit at the table with everyone else. 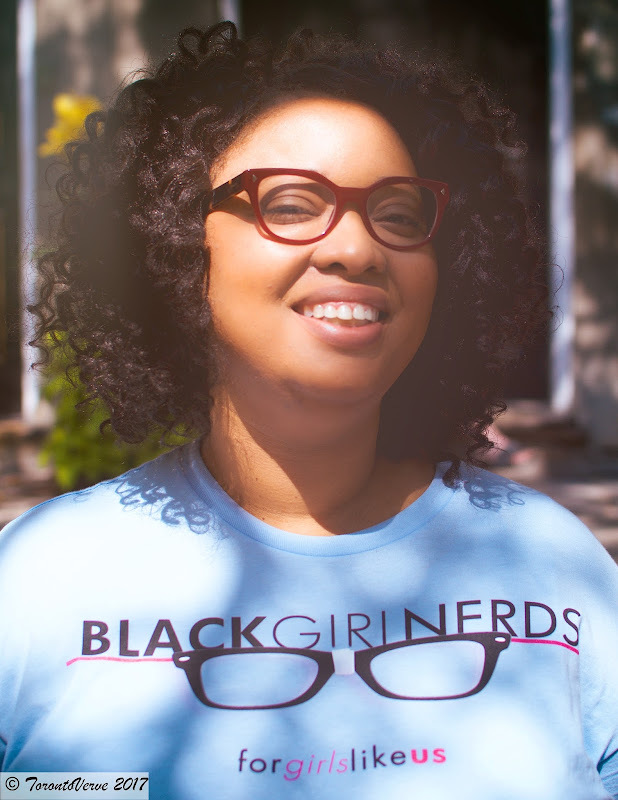 Follow Black Girl Nerds on Twitter, Instagram & Facebook.